listen, zodd. unless you learn how to terraform water and sand (and potentially air) around your base, you will be like a mary. shame on you. Qiresea wrote: listen, zodd. unless you learn how to terraform water and sand (and potentially air) around your base, you will be like a mary. shame on you. ZoddAlmighty wrote: Ive achieved enough to be satisfied with my current salem carrier. Since they opened up some low-effort thread after destroying an abandoned cannon, without mentioning how they had been raided thrice, lost a 2500 scalp char, tons of resources and a town bell. Bringing ©apitalism and democracy to concorde since 2018. 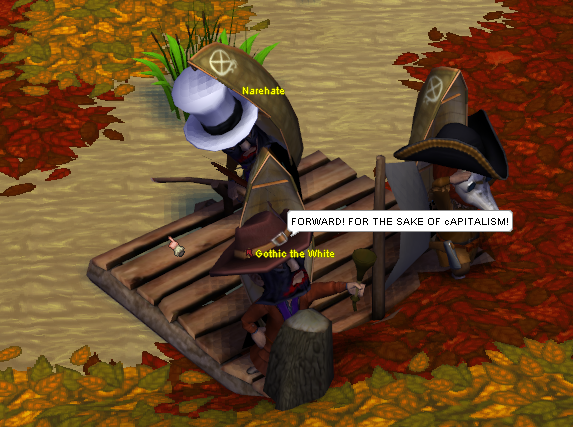 Now also reclaiming boats from savages and using them for more useful purposes. Atleast Brona knows his place now, in my belly! I bade thee come at me. And you did. GG Rip Lady of the Evening. First of her namesake on concord. You will be avenged.